When McDonalds wanted to build a 24 hour restaurant in the Adelaide suburb of Woodville, a group of neighbouring residents banded together to try and stop the development. The case shows what issues a resident may raise in objection to a development and how to go about making those objections. In 2011, McDonalds applied to a local council for development approval to build a new restaurant on Port Road, Woodville. The restaurant was to operate 24 hours a day, 7 days a week. Initially, the council imposed conditions on the approval to build the restaurant. Some residents didn’t think the conditions went far enough and successfully took legal action to appeal this decision. The council’s decision was reversed and the development consent was refused. In 2015, McDonalds again applied for development approval, having made some changes to the proposed development in line with the Environment Resources and Development Court’s earlier findings. These changes were effectively the result of residents voicing their concerns and exercising their rights to dispute the development. The site of the proposed restaurant was in a mixed use zone, meaning that there were both commercial and residential buildings in that zone. This type of development was categorised as “non-complying,” meaning that there were potentially controversial aspects of the proposal or that it may have adverse impact on the surrounding environment. Because it was non-complying, anyone could object to the proposed development by writing to the council. This is called a “Category 3” development application. The Council gave development approval, but a group of residents again objected to the proposed development and appealed to the Court. The appealing residents lived in homes neighbouring the proposed development site. The increase in noise (from the restaurant, cars, patrons, and waste collection services). The building being too close to their residential land. There not being enough car parking at the proposed restaurant, potentially causing overflow customer parking onto the street (and reducing on street parking outside of the residents’ homes). The possibility that the restaurant would attract criminal activity or vandalism in the restaurant’s carpark and also on the residents’ street. The possible traffic congestion on their street. Whether 24 hour trading was excessive for the area. The look and character of the restaurant exterior and street appeal considering that the neighbouring properties were mostly residential homes. The size and height of the McDonalds sign. The brightness of the McDonalds sign. The residents were mostly concerned that the development would interfere with, reduce or otherwise affect their enjoyment of their homes and land that were near the proposed development. Whether the proposed development was an appropriate form of land use in the mixed use zone. Whether the noise produced from the proposed development would comply with noise requirements. Whether the car parking and traffic were within the development requirements. Whether crime prevention was an issue. Whether the sign should be changed. Whether 24 hour trading was appropriate. McDonalds had provided expert evidence to persuade the Court that most of the residents’ claims had already been addressed, for example by building a three metre high acoustic wall to reduce noise to the neighbouring homes and by increasing the number of carparks on the site. 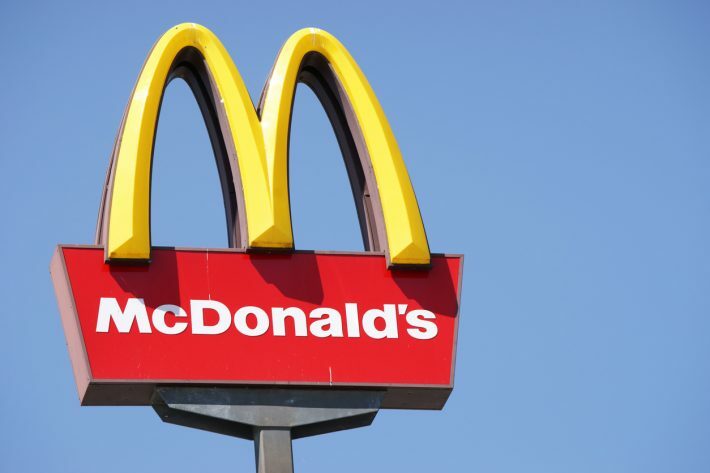 Although the appeal by the residents was dismissed and McDonalds was given development approval for the restaurant, it is worth noting that the approval was only given because the residents’ concerns were taken into account. They flexed their collective muscle and McDonalds responded by fixing the issues before submitting the new application. The residents were successful in getting McDonalds to change its proposal so that the quiet enjoyment of their land wasn’t compromised. It was a significant achievement in a case that could easily have become a David and Goliath stand-off. It shows the type of issues that you can raise as a neighbouring land owner if a substantial development is planned near your home. Whether it is residential or commercial, if the development will impact your way of life or your enjoyment of your home or land, then you may have grounds to appeal or object to a proposed development. Much will depend on how your land (and the proposed development) is zoned and it can really help to have someone experienced in development issues to look over the proposal and work out exactly how it will impact on you, your enjoyment of your land and potentially the value of your land. This is where a good development and planning lawyer is invaluable because often they can identify issues that you may not have seen or may not have occurred to you. Websters Lawyers has a team of experienced development, planning and environmental lawyers who can help you. Contact us today for a free first interview. Because the sooner you act, often the better off you’ll be.